Adapt and customise your gear to match your environment across all four seasons with Fjällräven; the Swedish brand strive to craft gear which is as technical and stylish as it is eco-friendly and environmentally sustainable. Their clothing, including the men's and women's High Coast Wind Anorak, uses sustainable, non-toxic Greenland Wax for water resistance instead of harmful fluorocarbons. This handmade blend of natural bees wax and non-irritable, oil-based parrifin allows you to customise the balance between water resistance and breathability. Melt it into your anorak fabric with a low heat to increase water resistance. 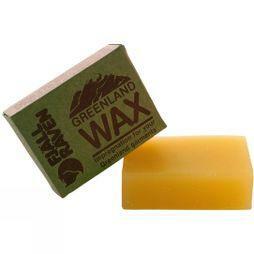 To enhance breathability, the wax can be washed out and reapplied to the level your adventure demands. From long-distance walker Leon McCarron to global backpacker Greig Trout, every adventurer will tell you how important a comfortable pack is on the trail. You won't find better features on a backpack than Osprey's Atmos AG 50 and Mira AG 26, especially if you're travelling in warm conditions. Not only do both pack come equipped with the patented AntiGravity 3D suspended mesh back panel and hip belt, giving you a generous gap for cool air to flow but they also boast the world's first ventilated hip belts while hugging your waist for additional support. To help spread the load of the more sizeable AG 50, the pack has an ExoForm/BioStretch harness with load lifter bar and Fit-on-the-Fly adjustable hip belt and external compression straps to help centralise the weight. The MSR Hubba NX is the ultimate solo wild camping shelter. It weighs a miniscule 1.15kg and occupies minimum space in your backpack inside its compressible stuff sack. If you want to go even lighter in warmer conditions, pitch the protective rainfly like a tarp without the inside footprint, knocking the weight down to just 0.73kg. Despite the size and weight there is still enough space to sit up inside. Comfort and protection isn't sacrificed for the sake of weight here; constructed with high-tenacity nylons for durability the Hubba NX includes a rainfly with kickstand vents and a StayDry door with built-in rain gutter to keep you dry while minimising condensation. When it comes to long distance, multi-day adventures, electronic essentials like your smartphone and GPS will need some extra juice (not to mention digital luxuries like your camera, tablet, or Kindle). This shouldn't, however, come at the expense of pack weight. The Powertraveller Powermonkey Extreme is ideal for week-long escapes, weighing in at just 460g it's capable of charging your GPS or smartphone 4-6 times or a tablet 1-2 times. You can charge the Powermonkey Extreme via USB or its solar panel, ideal for longer treks in more remote areas. From family camping to solo backpacking, cooking equipment must be ultralight, easily packable, and most importantly, reliable. If you're stopping for a brew or wild camping in mountainous territory where wind and exposure can be an issue, Jetboil offer innovative designs that won't let you down. With push-button ignition, the Jetboil Flash Personal Cooking System boils 0.5L of water in 2 minutes 30 seconds. To keep cooking quick and compact the cup has an aluminium FluxRing welded onto the bottom, increasing the surface area to transfer heat more efficiently. You can even store the canister and stabilising tripod inside the cup to save that precious pack space.